For too many of our children, attending school can be a frightening experience. As parents, families and friends we need to do something to make schools safer for our LGBT and all students. 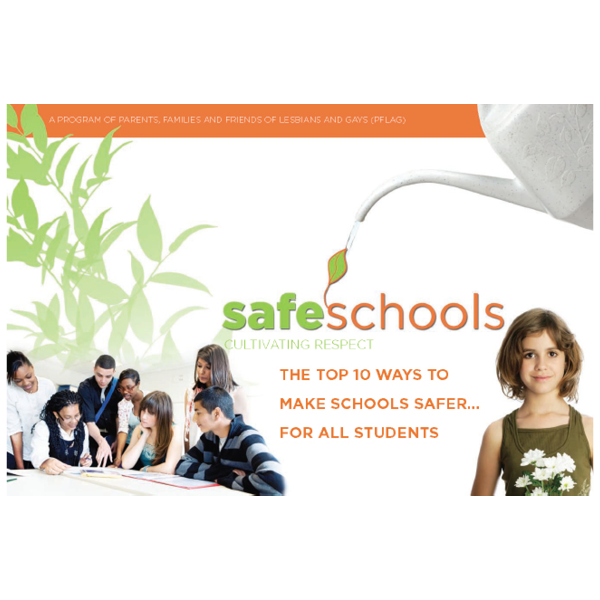 This publication will help you to advocate for strong national policies, learn the Top 10 Ways you can Make Schools Safer? For All Students, host a PFLAG Cultivating Respect certification training in your community, or promote our national scholarship program. We each have an important role to play in fighting bullying and harassment, and everyone has a stake in the success of this work.